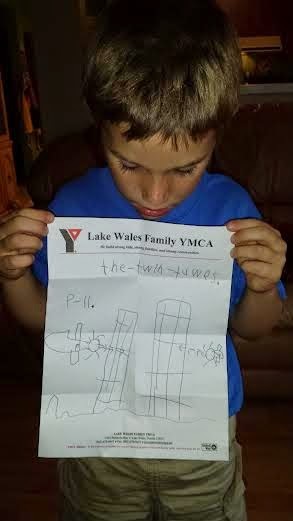 Remembering "9-11" through the eyes of a child and the lessons it teaches. I've always been open with my children. It's the way I was raised and I think it is a good thing to pass on. Admittedly though today was on of those days where I was taken aback and for a fleeting moment, wished that I my children never had to know such hate in the world. As most know because of news outlets, social media, conversation, and personal memories, it was the anniversary of '9-11'. Indeed a heart wrenching day in history that still lingers. It is a day that honestly I had not discussed with my children, as it has never come up to prompt discussion around them.